Lately I’ve been craving noodles way more than the average person should - so naturally I went on a noodle crusade. Seriously. I ate noodles every night for a week! In my “research” I had some really good noods and some, lets say questionable, noods. Because nobody likes bad noods I’ve put together a list of some of my favorites. My go-to place for a noodle fix. With daily noodle specials and noodle pop-ups (read as a menu of only noodles) you're for sure going to try something new every time you go in. Not only do they have teas, but they also have a killer noodle bowl! 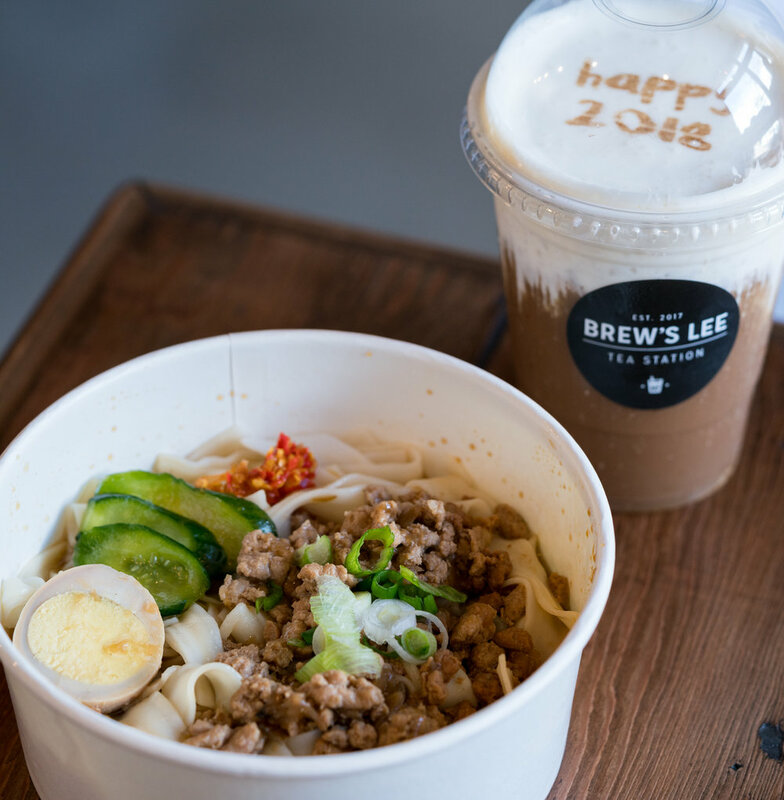 I drop in at least once a week on my lunch break to pick up these noodles (and get my favorite drink on the menu, Jasmine tea kalamansi with boba). All the adults join the kids at the back window where you can watch the noodles being hand pulled. Get them thin, thick, flat, round, or anything in between. My personal favorite is the brisket noodle soup with wide, ribbon shaped noodles. Newly opened and brining authentic Esan style food to San Antonio. While everything I’ve had on the menu is amazing, the noodle soup is what I always go back for. Be sure and add the housemade chili sauce if you think you can handle the heat. First off this is the coolest cocktail bar in the Alamo Height area. If you can find it, you should check out the food menu. 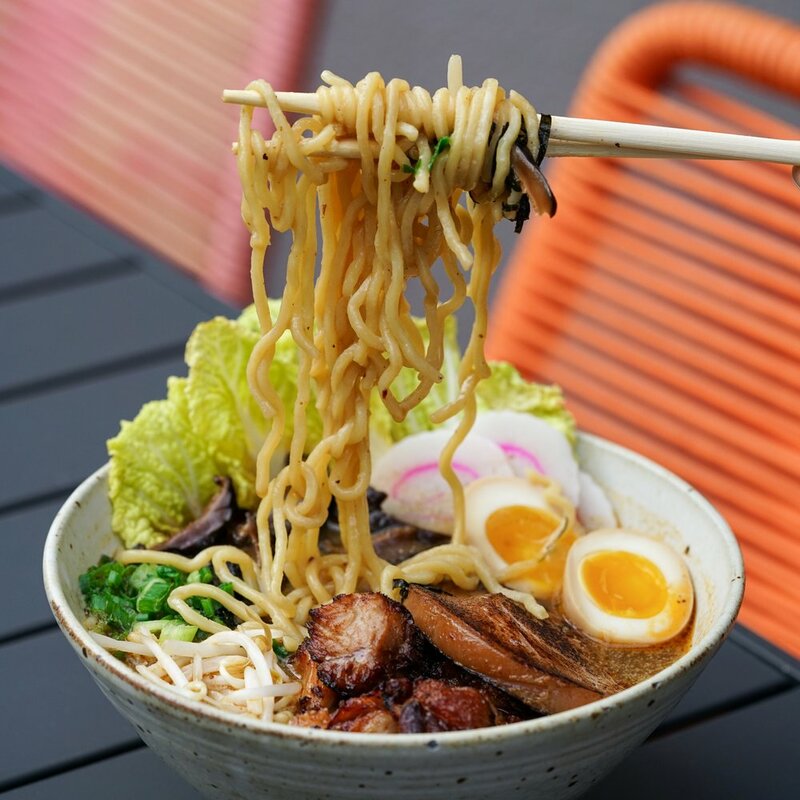 This Japanese gastropub has some pretty amazing ramen hiding on the menu, made with 48 hour pork broth and miso butter. It goes perfectly with the Southern Root cocktail (yassssss to Mezcal). These are just a few of my current favorite noodle spots in San Antonio but I'm always trying to find new ones. If you have anywhere you think I should try be sure and let me know! Follow @SAFood.E on Instagram for more!